There is a new film that is already stirring up a lot of controversy. When films are released for the whole world to see and they target the culture of a nation, controversy is sure to come with it. This new film is dubbed “The Cove,” and it focuses on some practices of Japanese fishermen. Based on what the film portrays, Japanese fishermen allegedly lure wild dolphins into a hidden secret cove in Japan. 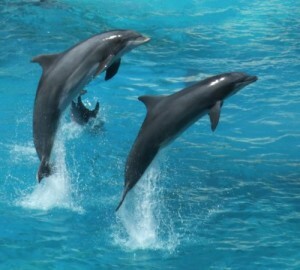 According to activists, these dolphins are then captured for sale to amusement parks and for food as well. The Cove is actually a documentary which follows the pursuits of a group of activists led by Ric O’Barry. He is in fact an ex-dolphin trainer and he used to be in the TV series Flipper. The film is due to be released in the United States on Friday but, unsurprisingly, no release date has been announced for Japan. The Japanese government maintains its stance that they are not doing anything wrong and that have not been doing anything wrong. More so, they have also cited cultural differences as the reason behind the misunderstanding. In spite of this official stand, critics and audiences have already given the film a lot of praise. In fact, it won the audience award at the Sundance Film Festival. The goal of the activists is to shut down the cove for good and to save the dolphins. I have not seen the movie myself, but I would like to. At least if I do, I can judge it for myself.